I do not believe in easy money and there are no magic tips in this article that will help you become rich overnight. So if you are looking for a way to make easy money then this article is not for you. Do not stay there praying for people to buy, (well you can do it), but above all set everything right from the start to put the odds on the side! If you think visitors will click on your affiliate links and buy just because you have placed dozens of links on your website then you are wrong! You must have a structured plan well put in place. Affiliate marketing is a business so you will have a much better chance of succeeding if you treat it as such. I'm sure I do not have any brooding, please feel free to share your tips in the comment box below. Agree with me , great, Let's continue reading.. The internet is bursting with affiliate marketing websites and programs. To those new to the idea, it could seem like a giant black box because it’s hard to fully understand how it works. Marketers and companies does not take it as fervently as other marketing channels. Affiliate marketing is a system that includes a merchant offering to pay a commission to other members or companies called affiliates when they refer new business to the merchant’s website. Rewards from affiliate marketing are performance-based which means affiliates are paid when their efforts to promote the merchant’s business leads to a successful transaction. Now that we have shed some light on what is affiliate marketing, the big question now is can you really make significant money using this marketing tool? Can Affiliate Marketing Programs help you Earn Significant Amount of Money? 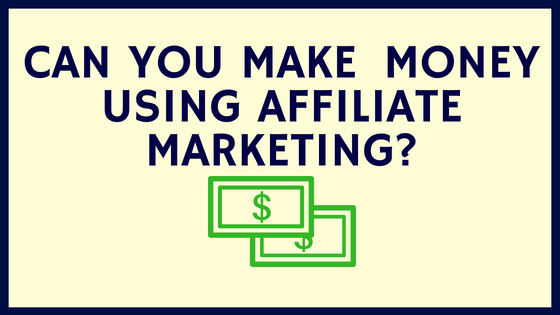 The answer to this burning question is yes it’s possible to get a decent earning being an affiliate but it takes time, patience and effort to earn a reasonable sum. It takes years to establish a relationship with the right people. Let us look at how affiliate marketing work. 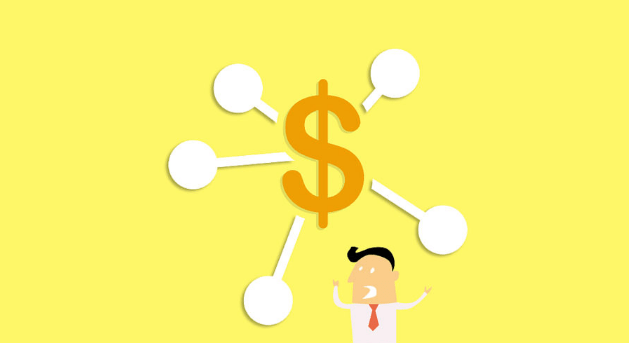 There is money to be earned in affiliate marketing, but making it a very profitable business (or not) depends on a lot of other factors such as your engagement, experience, website traffic, etc. The first step in understanding an affiliate program is to choose a niche that you understand. Choose a product that you would want to sell. 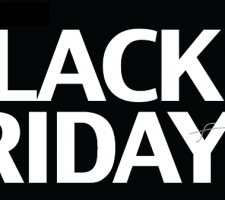 A merchant will provide you with an affiliate code and it is used for referring traffic to the target website. 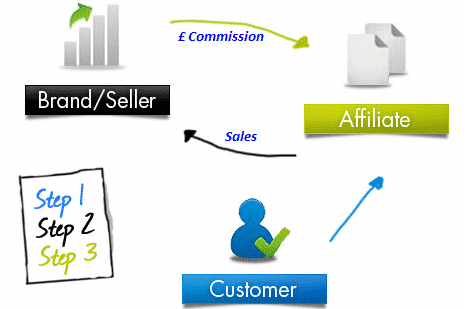 Depending on the affiliate program, the affiliate has to create the links and content for the merchant. Most programs offer their affiliate special text links, creative copies, and banners. These materials are easy to use; all the member has to do is copy and paste the links and content on their website for reference to the main merchant’s target site. Most affiliates use blogs and their personal websites or forums to post something about the product or service. This is the best and the most common method of affiliate marking programs. Other promotional methods include featuring banner ads that lead visitors to the merchant’s webpage. Conventional affiliate programs were based on using coupons and loyalty websites, but as the internet became more mainstream these programs have members spread across in non-profit organizations, schools and other businesses. Once a visitor lands on your website and uses the link to be redirected to the merchant’s product site and if they purchase a product or subscribe to a mailing service then the referrer or affiliate gets a commission. The merchant or the owner of the target website uses several high-end tracking tools to keep track of all member affiliates. Rewards are based on performance tracking by effective software. The affiliate’s ID is a tool for identification and it is used to measure and reward according to performance tracking by using affiliate ID and different software. Why Invest in Affiliate Marketing? Investing in affiliate marking is a good idea as it reaches a broad audience. 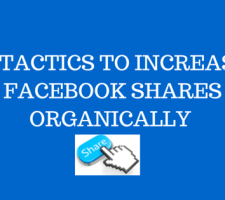 If executed successfully, it results in achieving organic following and link building for the merchant. We will look at the different reasons why to invest in affiliate marketing programs. The internet has played a significant role in increasing marketing opportunities for businesses. One of the leading methods for promoting a business is affiliate marketing. By using members or affiliates to promote the products both the target business and its affiliates will reap rewards from affiliate marketing programs. The best part of being an affiliate marketer is that they don’t need to have a customer support for handling customer complaints regarding the products or service offered. The merchant is solely responsible for all customer complaints. One of the biggest benefits of becoming an affiliate or member is the freedom to work from anywhere anytime. An affiliate marketer can work from home and does not require a scheduled 9 to 5 work shift. Another benefit of becoming an affiliate marketer is that it does not require a warehouse to store the products. The seller holds the responsibility of storage, handling and delivering the products on time to the customers. The affiliate marketing member promotes the products by linking them to their blog posts and other social media platforms. The process of becoming an internet affiliate marketer is to look for a cost-effective method of getting an income. Unlike conventional marketing and promotional platforms, internet marketing is affordable and you don’t have to go through the arduous task of manufacturing because the products are developed and ready to use. All you have to do as a marketer is to promote the products on your website or blog. You don’t need a physical location to market the products as it can be done anywhere anytime by anyone. Affiliation is certainly a great way to make money online but it is also highly competitive. To be successful in the affiliation, you must know the needs of the market, learn to promote products, and know what works and what does not work. It’s not always a a good idea to directly promote a product/service as it sounds a little odd. The great and modern strategy of online sales is pitching in an indirect way. 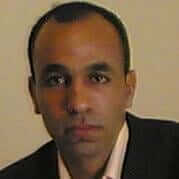 The best practice to gain affiliate sales is to mention the product in a relevant blog articel. With this, a product gets marketed without being discussed directly. Your audience is more likely to click and buy your recommended products, especially if you were honest. Being a blogger, you play a role as an advisor and they value your opinion and recommendation over their choice. 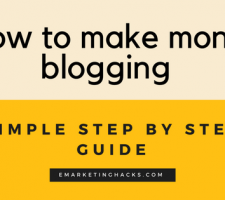 in this post , i have shed light on how to many blogging. All you need to do to be successful is to find good products to promote. Try to understand the needs of the market and look for products that align properly with the niche or domain of your site. The first mistake that many affiliate marketers make is that they sign up on too many different affiliate programs and they try to promote everything. Read this post to understand the top 9 Affiliate Marketing Mistakes to Avoid. If you are trying to sell a product that is not in demanded then chances are you will not get a lot of sales whatever the effort. If your site has good traffic, then you can do an online survey and easily get info from your visitors. Most affiliate marketers place ads only on their sites. There is nothing wrong with this approach but be aware that there are many other sources of traffic that you can enjoy, and also to promote products simultaneously. The more you can send targeted traffic to the sales pages, the more chances you have to make money. It's a great idea to use different product promotion strategies to see what works and what does not work. Try doing test splits, and measure the performance of each campaign, then act accordingly. Changing things here and there can dramatically make you earn more. 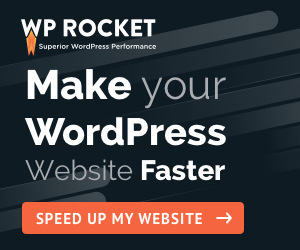 Make sure to place banner ads on different areas on your site pages. Affiliation is a very competitive field and people are always inventing new techniques. Try to keep abreast of new market trends and techniques, otherwise you will be lagging behind. When you promote a product you also promote the person or company behind the product, so try to choose wisely. You do not want your visitors to go to the site, buy a product based on your advice, then come back unhappy. Do you think these visitors will come back to your site and want your advice again? This can damage your credibility in the long run. Usually, websites / companies that offer good customer service also have the best customer satisfaction, so stay with them. If you are serious about affiliating then try to find tools that will help you be more effective. There are many useful tools. You may check the tool that we use. Then there are other affiliate marketers that do not earn more than $10/month. So at the end of the day, it all depends on the effort that you put in. On average, I think you can successfully earn up to $2000 - $3,000 per month, if you are committed and competent enough. All you need is a strategy and execution plan. More important, you would need a determination, grit and consistancy. If you have these ingredients, you are all set to be on your way to be a successful affiliate marketer. Here are some hacks that can help you along this affiliate journey, BUT be reminded that there are no alternatives for hard work, grit and determination. There are no easy shortcuts and there is no such thing as a free dinner. Personally I started off enrolling in the different affiliate programmes. Initially and due to my inexperience in both choosing a profitable niche and getting traffic to my website, it took me a long time to make my first small sale. However it was a complete thrill when I did make a sale. Now ,Im making $1200 to 2000$ , depends on my monthly effort and consitancy since affiliate marketing is not my main income. Here is a screen shot from this month. We have discussed what affiliate marketing programs are and how to become an affiliate marketer. Even though making money with affiliate marketing is not as easy as it sounds. It takes hard work, determination, and effort. It pays off in the long term once you are able to gather a major following by using engaging content with regularly scheduled updates. Paying attention to what the customers want is the key to be successful as an affiliate marketer. Always make sure that you choose the market niche that you understand. Selecting a niche that is beyond your grasp and understanding could be disastrous because if you are unable to understand the needs of the clients all your efforts of promoting the target website or products will be unproductive. here is a great udemy course ( affiliate link) that will help a lot start your affiliate business.